If you don’t happen to live in an area dotted with Middle Eastern stores, dried eggplant skins can be hard to find. It’s possible they might be available online, as long as there are eggplant skins to be had. I called my go-to wholesalers at Macar and Sons, to check on their dried eggplant stock, and they’re out right now. They don’t expect to have any for a month or two. Since they supply our few-and-far-between Middle Eastern stores, I’ll call each location to see if they have any on their shelves before I start driving around aimlessly. 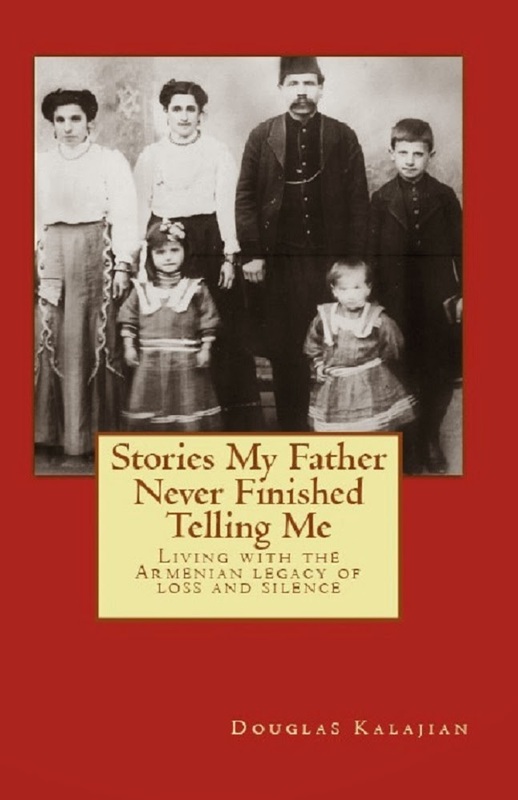 Once found and purchased, I will post a recipe for Dried Eggplant Dolma handed down from my paternal grandmother, Haiganoosh Dabbakian, courtesy of my aunt, Zabelle (Zippi) Dabbakian-Keil. So stand by. Aunt Zippi agrees that dried eggplants don’t seem to be as plentiful as they used to be, so getting them is a challenge. I’ve never tried to dry the skins myself because it’s a tedious task, but I do have an idea of what’s involved. 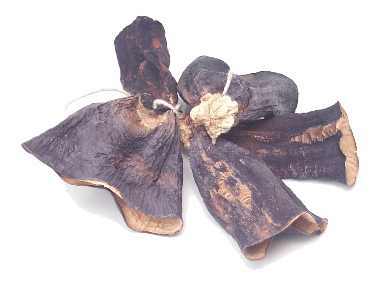 Before I post my ideas on how I think it should be done, can anyone who is reading this provide an accurate account of the true technique for drying eggplant skins? 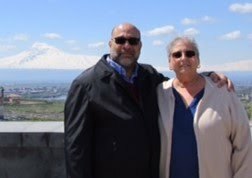 Any suggestions would be greatly appreciated, and can be emailed to me: robyn@thearmeniankitchen.com. I've always loved dolma made with dried eggplant skins, but stopped making it when Doug said he couldn't eat eggplant. Now that he can, I'm anxious to make it for him. Just spoke to my friends at Macar and Sons. Seems the eggplant skins we get come from the same region, but they won't be available for another 2 months. Perhaps it's not produced anywhere else? Thanks, Sandy. That's how I make dolma with dried eggplant skins, too. I wish to know if anyone has the proper technique for drying fresh, small eggplant. I will post an item explaining how I 'think' it's done.